Later I realized that it was just Chrome which was rendering those colors like that. Firefox saved my life! So I tried searching about it. Used keywords like “Chrome weird colors Fedora”, “Chrome wrong color rendering”. But found nothing relevant. There were some issues but those were too old. Then I though it can be something related to my hardware, asked my friend to verify if he has same problem. Same issue was present on his laptop too. When you start your machine, at the login screen hit the gear icon near sing in and change it to GNOME on Xorg. but it was still showing same weird colors. I decided to ask the folks from #fedora on freenode. While discussing with short-bike and prussian, I checked if the color profile for my display was set correctly. 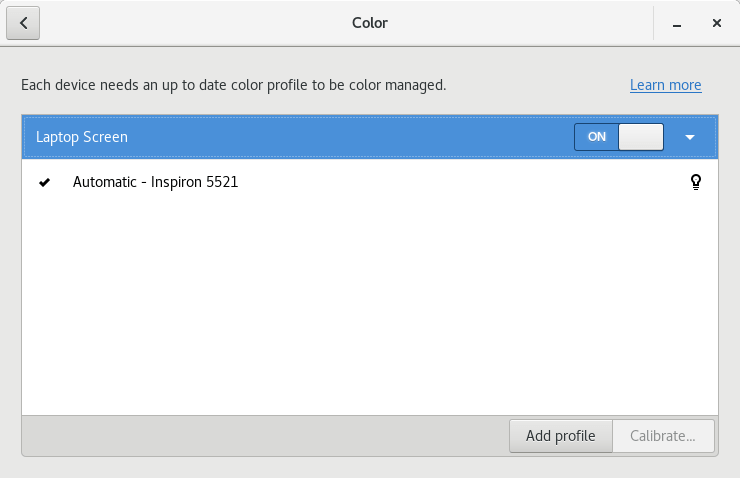 To check that go to Settings -> Color if the screen is present there then you have profile for your display. Later he advised me to install Chromium. 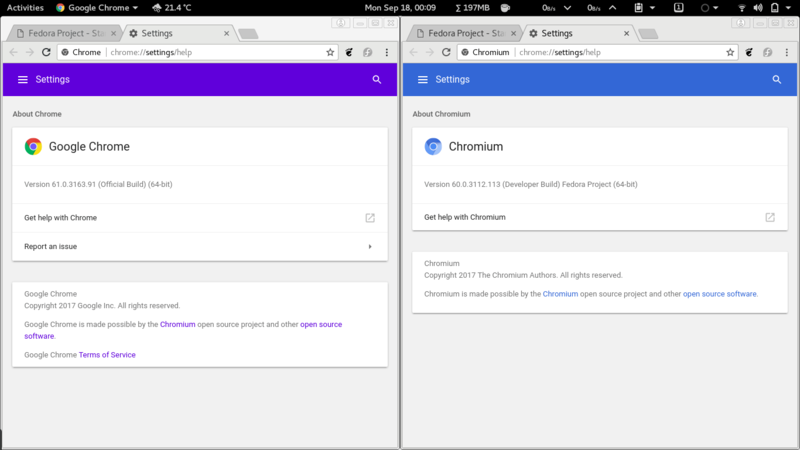 This bug was not present on Chromium, cause it was behind Chrome by one version. Started searching again and this time I searched the Google Product Forums, where I found some old threads with old solutions. And then found one thread where they have mentioned the exact cause of the problem with solution. Visit chrome://flags/#enable-color-correct-rendering and change the flag #enable-color-correct-rendering to Disable from Default. 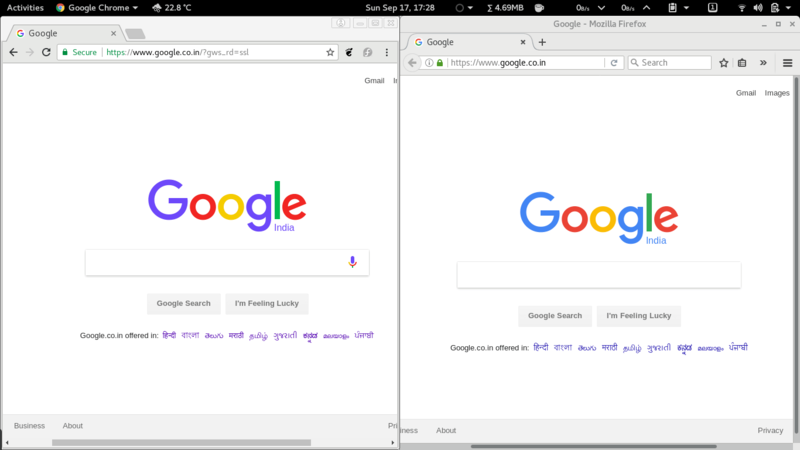 Chromium also has this issue.